- Stylish, ergonomic frame combines with sleek polycarbonate lenses for the ultimate in protection and style. - Perfectly balanced from temple tips to the bridge of the nose, providing the best fit possible. - High quality optics offer extreme clarity and no distortion. - Soft dual-injected rubber temple tips combined with fully adjustable straight back temples reinforce the highest level of comfort and fit. - Top of frame is ventilated allowing air to circulate and prevent fogging. 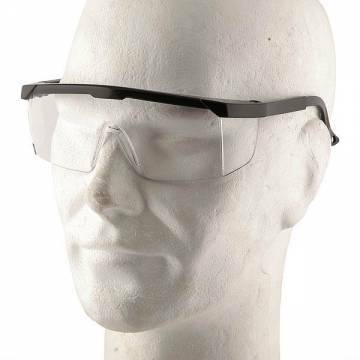 - 9.75 base curved lens provides excellent side protection against wind and airborne particles. - Offers protection from excessive glare.